WHEN the chemist possesses a compound which is unsuited to his purposes, to change its composition so that it will have properties more favorable to the ends he seeks, he proceeds to do one of two things: Through the application of conditioning energy he rearranges the same elements; as when he applies heat to Hydrogen Peroxide, driving off a portion of the oxygen, and obtaining Water. Both Hydrogen Peroxide and Water are compounds of Hydrogen and Oxygen, but with distinctly different properties. Or, he adds one or more other element to the compound, which uniting with one or more element in the original, changes its character entirely. For instance, if he wishes to obtain Nitric Acid which is widely used commercially, he can add Water to Nitrogen Pentoxide. Likewise, when it is desirable to change the composition of a thought compound in the astral body, so that the stellar cells and stellar structures formed of it will have an entirely different influence upon the events they attract into the life, the same two methods are available: Either, through the application of conditioning energy, the thought elements of the compound are rearranged; the process being termed Conversion; or new thought elements, termed Mental Antidotes, are added to the compound, which uniting with one or more thought element in the original, changes its character completely. Two thought elements may have so pleasant an affinity for each other that whenever they are associated, by being in the same compartment of the astral body, they tend to unite in a compound. And because of this unusual attraction, when they are permitted thus to join, they develop spontaneously a certain amount of pleasant conditioning energy which thus enters the compound and influences the thought cells and stellar structures formed of the compound. Thought elements which thus tend readily to unite, and if no special conditioning energy is present, in uniting combine in a more or less harmonious compound, are said to be Mental Antidotes, each of the other. Mental Antipathies also exist among the thought elements. When the Aggressive thought elements, for instance, occupy the same compartment of the astral body with the Safety thought elements, although they do not readily combine, to the extent close association does cause them to enter into a compound, is there developed merely through this association, painful conditioning energy which enters the compound and influences the thought cells and stellar structures formed of the compound. An increasing number of deaths are caused each year through the effect of carbon monoxide gas, developed through faulty combustion of fuel in automobile engines. An engine started, or left running, in a closed garage is responsible for some such deaths. Others are caused by the gas from imperfect connections, or from the exhaust, seeping up through the floor into the driver’s compartment, or by the gas from a car on the road just ahead blowing back into the driver’s face. As the gas is tasteless, odorless and colorless, the driver does not recognize his danger, is rendered unconscious, and permits his car to crash. It can be shown, from ample statistical data, that the thought cause which attracted the driver to the carbon monoxide danger, resided in a compound within his astral body in which the Utopian thought elements were painfully united to other thought elements. But the purpose here of introducing this quite modern danger, is to illustrate the effect of Antipathies and Antidotes when applied to the human system. Carbon monoxide is not poisonous in the sense that arsenic, strychnine, and toxic compounds are. It is readily eliminated from the system when the living person is removed from the presence of an additional supply. Yet it requires a very diluted amount in the air we breathe to bring death. The red blood corpuscles, although possessing consciousness, are quite unlike the white leukocytes. They are tiny sacks full of hemoglobin. And hemoglobin has a marked affinity for oxygen. During the passage of the red corpuscles through the lungs, they take on a load of oxygen, which a few moments later they deliver to the tissue cells, picking up, for the return cargo to the lungs, carbon dioxide and other waste products. But hemoglobin has a much stronger affinity for carbon monoxide than it has for oxygen. When, therefore, the air contains even small amounts of carbon monoxide, this unites with the hemoglobin instead of the oxygen. Without a fresh supply of oxygen the brain can retain consciousness only a few minutes; and other organs of the body can function only a matter of hours. That is, the carbon monoxide acts as an antipathy, when it combines with the hemoglobin. The person suffocates just as surely as he would if for the same length of time he were under water. And the treatment to relieve the condition is to use a Pulmotor, or artificial respiration, just as in drowning. In fact, he is drowning, and if revived before life ceases, he suffers no more ill after effects than had he been immersed in water. When, by means of the Pulmotor, or natural breathing if it has not been completely suspended, the red blood corpuscles are furnished again with a supply of pure air, in their contact with the tissues they gradually relinquish their carbon monoxide, and the hemoglobin again combines with oxygen, carrying it from the lungs to the tissues. Pure air, even if it must be forced into circulation through the lungs by means of a pulmotor, is thus the natural Antidote for a dangerous carbon monoxide compound. Nothing else in the way of a remedy is required. If the heart continues to beat, circulating the blood, and plenty of pure air is furnished the hemoglobin of the blood, there is such a pleasant affinity between hemoglobin and oxygen, that they combine in a compound wholly beneficial. In a similar manner, each family of thought elements has both its Antipathy and its Antidote in certain other families of thought elements. But because the practice of Mental Alchemy is to relieve distress, and to form such thought compounds in the astral body as will attract, through the activities of the stellar cells and stellar structures composed of them, more fortunate events, our interest is more pronounced in determining the Mental Antidotes and how to apply them. Just what these Mental Antidotes are has been handed down to us through tradition from remote antiquity; but they have been amply verified through extensive modern research and experiment. The state of consciousness accompanying any physical or mental experience builds thought elements of one or more family into the psychoplasm of the astral body. The thought elements thus added move to, and are assimilated by, the compartment in the astral body related to the department of life with which the experience is chiefly concerned. That is, if the experience has chiefly to do with money, they move to the 2nd compartment; if it has to do with love affairs, they move to the 5th compartment; or if it has to do with credit and honor, they move to the 10th compartment. This tends to bring them into proximity with other thought elements already occupying the same compartment in the astral body. Such casual association alone does not of necessity compel them to combine; but in the case of Mental Antidotes, the affinity is so strong that the slight additional association given by the purpose of applying a mental remedy is sufficient to enable these incoming elements to enter into the psychoplasmic compound of the stellar cells, thus changing their nature completely. When the Mental Antidote for the particular affliction has been determined, it is then sound practice to cultivate harmonious experiences and harmonious thinking of its type in connection with the department of life—money, health, honor, friendship, etc.,—for which the mental remedy is needed. But in addition to this, the antidote should be applied directly to the Dynamic Stellar Structure chiefly responsible for the difficulty. If the discordant Dynamic Stellar Structure attracting the misfortune is chiefly composed of Safety thought elements—mapped in the birth chart by the planet Saturn—whenever Safety thoughts, feelings or impulses enter objective consciousness, it is good practice at once to think about and cultivate their antidote. That is, when fear, caution, acquisition, greed, or cold selfishness, are recognized in the thoughts or actions, other thoughts and actions should at once be cultivated relating to love, affection, art, beauty, and friendship, to take their place. The fact that the new set of thoughts and experiences are purposely developed to take the place in consciousness of the troublesome ones, associates them immediately with the thought elements in the active thought cells responsible for the difficulty. Those very active groups of thought cells forming a Dynamic Stellar Structure in the astral body, if they are the seat of a difficulty of any importance, are quite certain to influence not merely the experiences attracted, but also the objective thinking and feeling. And to whatever type they belong, whenever the experiences or thinking characteristic of them are present, if the experiences and thinking which constitute the Mental Antidote are then used in the effort to displace or alter them, these new thought elements enter into combination with the ones causing the trouble. The Dynamic Stellar Structure responsible for the difficulty to be remedied may be ascertained through a careful process of psychoanalysis: or through a careful observation of the habitual thought of the individual. The thought cells of a stellar structure with energy enough to cause much difficulty in life, also are energetic enough to influence both unconscious trends of thought and the habitual objective thinking. 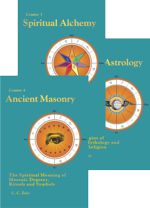 But the most convenient method of determining the thought structure, the cells of which need a Mental Antidote, is through using the known Birth Chart Constants in connection with the birth chart. But whatever method is used to discover the thought cause of the condition to be treated, the Antidote should be applied to the thought cells in the compartment affected in the astral body, by associating the Antidote as harmoniously and as persistently as possible with that department of life; and it should be applied directly to the Dynamic Stellar Structure through using it on all those occasions, which will be numerous enough to start with, when the thinking responsible for the difficulty gains recognition in consciousness. When there is discord arising from a thought compound in which the Power elements predominate, this is due to the influence of the other thought element, or thought elements, in the compound, and to the conditioning energy with which the elements combined. Therefore, the antidote for this other thought element should be added to the compartment containing the Power thought cells, and to the Power Dynamic Stellar Structure. To add them thus to the Power Dynamic Stellar Structure, whenever thoughts are present relating to pride, firmness, conscientiousness, self-approbation, self-disapproval or self-esteem, thoughts of the character of the antidote of the other thought element in the compound should be entertained. Also, experiences should be cultivated of the nature of the antidote of this other, and discordant, thought element in the compound, with the purpose in mind of adding harmony and strength to the feeling of importance and accomplishment. There cannot be too much of the Power thought elements in the astral body; and a great deal of failure in the lives of most people is due not so much to the discord in association with the Power thought cells as to their lack of energy. That is, thoughts, efforts and other experiences relating to significance have been too few, and lacking in intensity, in the soul’s past to build up these stellar cells and give them the activity necessary for high accomplishment. Their prominence does not prevent difficulties, nor their characteristic type of diseases, if they are composed of discordant compounds. But it does give ability, to the extent these Power thought cells have acquired energy, to overcome difficulties. Statesmen and those who lead or govern others often have gravely discordant Power thought cells; but they always have unusually energetic Power thought cells. Those with such discords attract one difficulty after another, but are able to dominate them, until the discord attracts a physical disease resulting in death. Important men, because of the prominent yet discordant Power Dynamic Stellar Structure, very frequently die of heart failure. To illustrate what I mean, consider the birth charts and lives of three of our presidents: Theodore Roosevelt (Birth chart in Chapter 1, Serial Lesson 95) with Sun in 10th, conjunction Mercury, opposition Pluto, and trine Moon, went out of his way to find difficulties; but his Power stellar cells were so energetic that he steadily gained in authority; yet he died at a time in life when many men are in their prime. Warren G. Harding (Birth chart in Chapter 7, Serial Lesson 116, Course X-II, Progressing the Horoscope), with Sun conjunction Mars and Saturn, opposition Moon, and trine Uranus, was unsuccessful as candidate for Governor, and as president died from ptomaine poisoning, typical of discordant Utopian thought-element compounds. Calvin Coolidge (Birth chart in Chapter 6, Serial Lesson 115, Course X-II, Progressing the Horoscope), with Sun opposition Saturn, was frugal and accustomed to hardship, but the activity of his Power thought cells gave him one political position after another, until he died from heart failure, typical of discordant Power compounds. Almost any person who sets resolutely and intelligently about it can acquire some knowledge or ability that is outstanding in the community where he lives. He can do something that will secure the esteem of others, or at least, through benefitting the community, heighten his own opinion of himself. Working to such an end, if the difficulties are met with joy in accomplishment, this builds Power thought elements into the astral body, adding to the vitality and to the importance of the life. Such effort is well worthwhile to any person. In the home, where women and dependents are concerned, and in relation to the common people, the individual becomes more receptive to impressions than in most other avenues of life. That is, he is more negative to such influences, and whatever harmonies or discords are present find easier access to his astral body, and build into it thought compounds possessing such conditioning energy. It has been found through experiment and observation that the Aggressive thought elements have a peculiarly harmonious and powerful affinity for the Domestic thought elements. Aggressive thought elements, ruled by Mars, are the most positive and energetic of all; just as the Domestics, ruled by the Moon, are the least positive. When the Aggressive thought elements are added to any compound containing the Domestic thought elements, they immediately enter into combination with the Domestic thought elements; and the resulting compound, unless at the time discordant conditioning energy is added through some painful association, tends to be of a highly beneficial character. I believe no thought compounds give greater courage and daring, or mental activity, than those formed by a union of the Aggressive thought elements with the Domestic thought elements. Such a compound is mapped in the birth chart by an aspect between the Moon and Mars; and, while attracting strife and a tendency to accidents, even a discordant compound of these two thought elements has great possibilities for accomplishment. In other words, they are such perfect antidotes, each of the other, that in any compound they provide activities that cause their stellar cells to attract a certain type of good fortune. 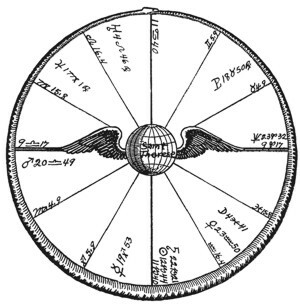 As illustrating this peculiar quality even when in compounds that are otherwise not harmonious, Theodore Roosevelt (Birth chart in Chapter 1, Serial Lesson 95) had Moon opposition Mars; Admiral Richard E. Byrd (Chapter 8, Serial Lesson 63, Course V, Esoteric Psychology), who was the first man to fly over both the north pole and the south pole of the earth, has Moon opposition Mars; Amelia Earhart (Birth chart at front of this chapter/lesson), first woman to fly the Atlantic, has Moon square Mars; Calvin Coolidge (Birth chart in Chapter 6, Serial Lesson 115, Course X-II, Progressing the Horoscope) had Moon conjunction Mars; Benito Mussolini, Italian dictator (Birth chart in Chapter 1, Serial Lesson 2, Course II, Astrological Signatures) has Moon conjunction Mars; and Franklin Delano Roosevelt (Birth chart in Chapter 8, Serial Lesson 204, Course XVI, Stellar Healing), has Moon conjunction Mars. These individuals all are noted for courage and daring as well as for high accomplishment. To add these Aggressive thought elements to the compartment of the astral body containing the Domestic thought cells, this department of the life should be associated in the mind with activities which are deliberately undertaken for the protection of the weak and helpless and providing for those unable to care for themselves; activities that call for initiative, courage, and combat. Even taking the part of a mistreated dog is a step in the right direction. To add these Aggressive thought elements specifically to the Domestic Dynamic Structure, whenever thoughts enter the consciousness that relate to difficulties in the home, to difficulties with women, or to difficulties with the common people; these should instantly and completely be displaced by thinking about some episode in the life in which initiative and courage were exercised. Or the thoughts may be turned to some contemplated activity which requires initiative and courage. Commonly the thoughts arising from activities of the Domestic Dynamic Structure are of a quality that, even though tumultuous in their emotional content, as soon as the emotion begins to subside, they leave the individual in a state of passive acceptance of conditions. Such negativeness of attitude merely increases the power of the Domestic thought compound to influence the life. And while it is poor technique to oppose any thoughts that are discordant to this negativeness; it is essential in correcting a Domestic thought element difficulty with a Mental Antidote, that positive and aggressive, even warlike, thoughts should be substituted. When such Aggressive thoughts are thus substituted, their purpose of displacing the discordant Domestic thoughts is sufficient association to cause them to enter into combination with the thought elements of the Domestic Dynamic Structure. The objective mind was evolved the better to adjust the organism to new situations through actions based upon examination and comparison. This process of examination and comparison when carried out by the objective consciousness, as well as the expression of the thoughts through speech or writing, is done at the expense of electrical energy generated in the brain cells. That is, such thinking as adds Intellectual thought elements to the astral body, is accompanied by vibrations of the physical brain cells, which in turn consume etheric energy. The etheric energies thus set in motion flow from the brain as electric discharges over the nervous system, thus tuning the nerves in on corresponding astral vibratory rates, enabling them to pick up, radio fashion, such energies from the planets, from other radiating brains, and from the minds of those on the inner planes of life. The more powerful the Intellectual thought cells are in the astral body, even though combined in discordant compounds as indicated by inharmonious aspects to Mercury in the birth chart, the more activity are they able to impart to the physical brain cells. Up to the capacity of the brain cells to stand the strain thus imposed upon them, even discordant Intellectual thought cells are an asset to mental ability. But because their activities imparted to the physical brain do thus so largely determine the habitual type of thinking and the habitual tendency of the nervous system to pick up broadcasted vibrations of a particular type and harmony or discord, which in turn affect the life in various departments through feeding energies into the thought cells in various compartments, it is of utmost importance that the Intellectual thought cells should be harmonious. Faith, and the reliance on a higher power, relieve the Intellectual processes of their tendency to carry the whole burden of responsibility for what happens in life. 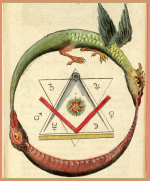 They enable them to relinquish activity about matters beyond their power, and to concentrate the etheric energies of the brain toward the solution of essential problems. Over activity of the brain uses up more electrical energy than the brain cells generate, and thus leads to depression. But steady, directed attention given to some selected problem leads to such exhaustion slowly in comparison to the irritation of numerous petty problems which come spontaneously, each one stimulating unregulated electric discharges over the nerves. A benevolent attitude toward others, and a calm and abiding faith that things beyond personal control will work out for the best, or at least some firm philosophy that may be thought about adds the Religious thought elements to the astral body. These antidotes should be added to the compartment of the astral body containing the Intellectual thought cells through cultivating such benevolence, faith and philosophy in reference to the department of life they influence. And they should be added to the Intellectual Dynamic Structure through substituting such an attitude for the too insistent, or the discordant, thoughts that intrude in an effort to solve the problems which life constantly presents. Love, affection and friendship, while not antagonistic to safety and self-interest, yet possess a vibratory quality which softens their hardness. Observation and experience show that excess of such emotional qualities, or their discords, are quickly and beneficially modified by the application of caution, system and forethought. The Safety thought elements are the mental antidote for the Social thought compounds. But in their application, if the resulting compound is to be truly harmonious, no element of selfishness, greed or fear should be allowed to creep in; for these discordant Safety thought elements are so powerfully conditioned with discordant energy that they impart a loss-attracting activity to any thought compound into which they enter; even when combining with Social thought elements if these also are discordant. Proper caution and foresight should be used not to attain an undue advantage, but in the interest of strict justice, in the use of the Safety thought elements as an antidote. Also, because the Social thought elements, mapped in the birth chart by Venus, are so negative, in addition to the mental antidote they need, when discordant, Power thought elements harmoniously applied to the compound. That is, pride, firmness and self-esteem should also be cultivated in association with them. To apply the Safety thought elements to the compartment of the astral body containing the Social thought cells, the things of this department of life should be thought about with much care in the effort to discern how each course of action will affect them; and how they will ultimately affect oneself. Their influence upon the self-respect in particular should be noted, and courses of action decided upon which will be just, but which will not detract from the feeling of Significance. To apply the Safety thought elements to the Social Dynamic Structure; whenever discordant thoughts arising from affectional matters enter the consciousness, these should be displaced by thinking intently about caution, system, order, and persistent effort in connection with some work or enterprise that enables these thoughts to afford a feeling of pleasure. The fact that emotional matters tend to intrude, and these cold and careful thoughts are used to displace them, even though the Safety thoughts are about something else, is sufficient association to cause them to enter into the same compound. And if the thoughts dwell too persistently upon the emotional subject, while the thought elements enter the proper thought cells, they tend to become too charged with discord to give them a harmonious composition. The feeling at the time enables one to judge to what extent, in adding the thoughts of firmness and self respect, as well as those of the Safety family to the compound, it is advisable to permit thoughts of the affectional object to be present. If it is in harmonious compounds, so that it will express in constructive activities instead of in those destructive, it seems impossible to have too much of the Aggressive thought element in the astral body. Without it in ample quantity there is insufficient energy for worthwhile accomplishment. But when as revealed by discordant aspects to Mars in the birth chart, the Aggressive thought cells contain painful conditioning energy, their activities are the source of strife, infection, accident and other misfortunes. Yet, as indicated already, they have a powerful and harmonious affinity for the Domestic thought elements, which are their natural antidote. To apply the Domestic thought elements successfully to the compartment of the astral body containing the Aggressive thought cells, thoughts of providing for the helpless, of making the domestic life more enjoyable for those in the home, and of taking care of their wants, should be associated with the department of life thus needing treatment. And to increase the potency of the process, some actual work, having for object the caring for the helpless or providing for their welfare, should be undertaken. To add the Domestic thought elements more specifically to the Aggressive Dynamic Structure, whenever thoughts relating to strife, or generated by lust, anger or the feeling of antagonism enter the consciousness, a deliberate effort should be made to displace them with other thoughts relating to helping the weak and providing for the unfortunate. In this work of substituting Domestic thoughts, it will be found that the Aggressive thought cells possess so much energy, once they are able to connect up strongly with the brain cells, as when lust, anger or irritation is present, that it is unwise to attempt to repress them. Each individual should have some plan, project or work in which he finds spontaneous delight, and which at the same time contributes to the comfort of his family, or to the welfare of the old or young who are helpless. An active interest in some branch of social welfare work serves the purpose admirably. With such a Domestic thought interest already well developed, it is not difficult, when lust, anger or irritation begin to be felt to switch the thoughts to this interest; and to divert the Aggressive energies being released into channel of construction. That is, if the energy being liberated is used to build something, instead of to tear down, it performs a useful work. And when it is present in volume, as is always the case when there is anger or lust, it is sure to express either destructively or constructively. If it is given some constructive work, this diverts it from destructive activity. And if this work, either physical or mental, is undertaken for the benefit of children or others who are helpless, this adds the Domestic thought elements to the Aggressive Dynamic Structure in the manner most suited to provide a satisfactory antidote. Placing too much reliance on faith, good luck and the protection of providence, instead of taking an adequate share of responsibility, is typical of the manner in which discordant Religious thought compounds express in the habitual attitude toward life. The stellar cells embracing such compounds are mapped in the birth chart by discordant aspects to the planet Jupiter. While it unwise to ask the Intellectual processes to carry the whole burden of responsibility for what happens, it is equally in error to expect providence, or the good will of others, to shoulder the whole load. Yet there is so strong an affinity between the Religious thought elements and the Intellectual thought elements that whenever they are in each other’s presence, unless they are associated painfully, they tend to combine in a pleasant and harmonious compound. Thus they are the natural antidotes, each of the other. To apply the Intellectual thought elements to the compartment of the astral body containing the Religious thought cells, the things of the department of life thus affected by the Religious stellar cells should be made the subjects of thorough study and careful analysis. The critical faculties should be brought into play to determine the best course of action in every situation when these things constitute a factor. Feeling should be made subordinate to reason based upon careful examination. Snap judgments should be avoided. The old astrological books hold that an afflicted Jupiter, more than any other planet, destroys the judgment. This is not because Jupiter rules the judicial faculties, but because discordant Religious thought cells are able to displace reason and the critical weighing of factors, one against the other, with wish-inspired impulse. To apply the Intellectual thought elements to the Religious Dynamic Structure requires that over optimism, the blind reliance on chance, and the tendency to permit things to take their own course in the hope that they will turn out all right, should be replaced by a careful examination of every situation in which impulse and enthusiasm urge either an action or inaction. Many situations will arise in which a critical analysis of all the factors will reveal that impulse and enthusiasm were leading in the right direction. But aside from preventing actions based on faulty judgment, such procedure associates the Intellectual thought elements with the elements in the Religious thought cells responsible for the impulse, faith, or optimism, and thus builds a new and highly beneficial compound. In applying the Intellectual thought elements, care should be exercised that no feeling of distaste for the labor involved arises; for their proper application requires concentration and, as electric forces generated by the brain cells are involved in the process, this rapidly consumes energy. In their expression the Safety thought cells are heavy and laborious. If harmonious and constructive in trend they are among the most valuable assets of life; but even when thus fortunate they are decidedly more beneficial when brightened and given vivacity through adding to their compounds the cheery Social thought elements, which are the natural antidote. Furthermore, all thought cells to the extent they contain Safety thought elements in their composition, are negative, and therefore can be benefitted by adding to them Power thought elements. When the Safety thought cells contain painful conditioning energy, as revealed by discordant aspects to Saturn in the birth chart, they in particular need both their antidote and the Power thought elements added to them. To add the Social thought elements successfully to the compartment of the astral body containing the Safety thought cells, pleasant social contacts, musical entertainment, or artistic trends, should be cultivated in connection with the various things relating to this department of life. The effort should be toward getting as much cheer, amusement and pleasant emotion as possible out of these associations. At the same time, to offset the tendency to negativeness which is always a menace—for when present it permits control by thoughts, forces and environment other than of one’s own choosing—there should be maintained, along with the pleasant emotion, a feeling of firmness, of energies slightly pressing outward, and of self-respect and significance. To add the Social thought elements more specifically to the Safety Dynamic Structure, a definite line of thought and action should be planned and followed, to be brought into use whenever fear, greed or worry is present in objective consciousness, and whenever there is a feeling of grief, disappointment or depression. This plan of action requires the cultivation of some affectional interest which is not disappointing, the establishment of pleasing social contacts, or the development of an appreciation of music, art or poetry. If such associations are lively and merry, they are better than those that require reflection. That is, they should be in the nature of amusements or recreations, which have enough spontaneous attraction to banish the worry, disappointment, or other Safety thoughts from the consciousness. Safety thoughts in particular, and to an extent other thoughts of negative quality, turn the interests of the mind upon the self. Hence it is requisite in causing them to enter into more favorable compounds that there is an interest outside the self which induces the energies to flow outwardly. And to insure that the energies do thus flow outwardly, instead of negatively permitting outside conditions to cause the flow to be reversed, it is good technique to maintain a feeling that the energies are slightly pressing outward, and to hold thoughts of power, vitality and self respect. This negativeness which is common when Domestic thought elements, Social thought elements, Utopian thought elements, Universal Welfare thought elements, or Safety thought elements are too prominent in the astral body is not confined to the stellar cells but affects the electrical potential of the physical body markedly. The brain cells generate electrical charges which make it positive to the rest of the body; the liver being the opposite pole, carrying the strongest negative charges. Fear, worry, grief, or other negative thoughts decrease this electrical difference between brain and liver, which means that they lower the vitality; for the vitality depends upon this electrical difference. It is quite possible to die of fear, worry or grief; for when the difference in electrical potential is no longer present, the battery that runs the body is dead, and the body cannot function. Hence the necessity of applying the vitalizing Power thought elements to keep the thoughts and brain from becoming too negative. The thoughts of the Individualistic family are an upper octave expression of the Intellectual thoughts, and have an equal capacity to tune the etheric energies flowing over the nervous system in on corresponding astral rates of vibration. And because they are upper octave, and therefore have a shorter wave length, to the extent the Individualistic thought elements are present in the thought-cell compounds of the astral body do they give the personal magnetism—which is etheric radiation—a quality and intensity which others pronouncedly feel. If the Individualistic thought cells are powerful and harmonious, it causes others to be strongly, even violently, attracted; and gives the ability to sway others through magnetic power. Orators who influence public opinion markedly always have prominent Individualistic thought cells. 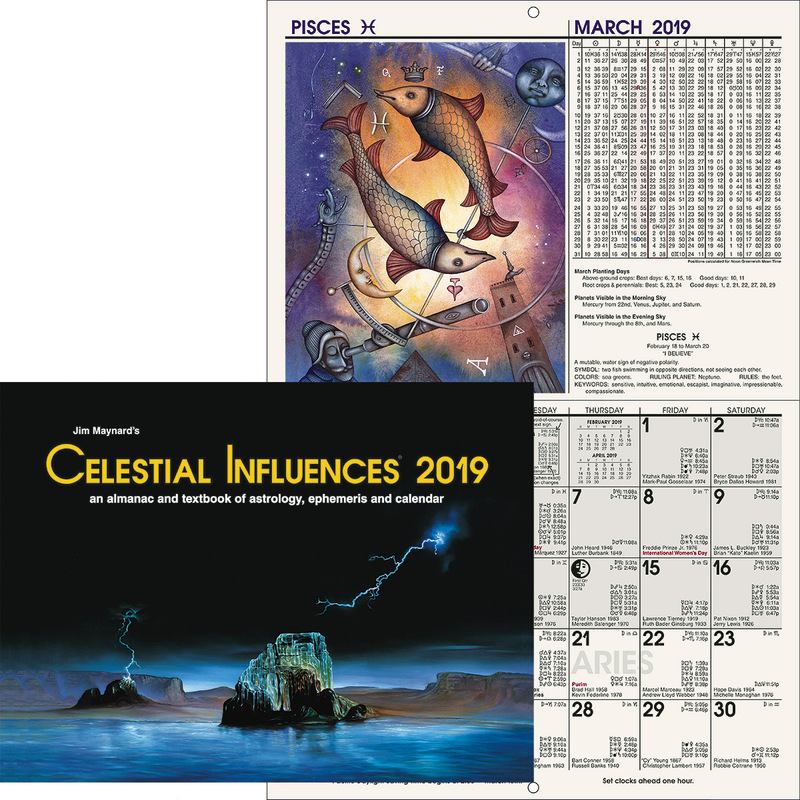 On the other hand, if the Individualistic stellar cells are powerful and discordant, as mapped in a birth chart by a prominent Uranus receiving inharmonious aspects, it attracts others who exert an undue and unfortunate influence over the life. That is, whatever fortune or misfortune is attracted through the activities of the Individualistic stellar cells is associated directly or indirectly with a human agency. Yet, even though the effect on the nervous system liberates shorter wave lengths due to electrical oscillations, and these short wave lengths broadcast more powerfully than those released from the nitrogen of the protein fraction of the nerve cells by the action of the Intellectual thought cells, the antidote is the same. It consists of applying the Religious thought elements. To apply these Religious thought elements to the compartment of the astral body containing the Individualistic stellar cells, the things of this department of life should be viewed with a greater spirit of give and take; of greater tolerance for the views and shortcomings of others in reference to them, and with a broad and optimistic philosophy which places much reliance on higher powers to cause things to work out as they should. To apply the Religious thought elements more specifically to the Individualistic Dynamic Structure; whenever thoughts enter the consciousness as to the desirability of destroying the old for something new and untried; especially if the thought of existing conditions gives rise to a feeling of dissatisfaction; displace such thoughts by thinking about higher powers which all in their proper time bring these changes necessary for progress. Turn the thoughts from the dissatisfying condition to the highest type of religion that has been contacted, whatever it may be. The Utopian thoughts also are upper octave expressions. They are shorter wave lengths, but otherwise similar in characteristic, to the Social thoughts. But because they are negative they do not radiate powerfully from the nerves as do the Individualistic thoughts; but instead give the nervous system unusual sensitiveness to other vibrations. This magnified sensitiveness tends to a like magnification of the importance of what is received. That is, the activity of the Utopian thought cells gives an undue reality to fleeting and evanescent impressions, and exaggerated expectations, whether these be beneficial or detrimental. In addition to applying the Safety thought elements as an antidote, because they are so negative, an effort should also be made to add the Power thought elements to the Utopian thought-element compound. To apply the Safety thought elements to the compartment of the astral body containing the Utopian thought cells, the things of this department of life should be thought about with much care in the effort to discern how each course of action will affect them; a special effort being made not to magnify the importance of these influences, and thus to avoid ultimate disappointment. Also, their influence upon self-respect and significance should be studied, and a more positive attitude toward them should be cultivated. To apply the Safety thought elements more specifically to the Utopian Dynamic Structure; whenever ideas involving projects of great magnitude, or whenever impressions which seem of much importance enter the consciousness, these should be displaced by thinking carefully about what is, and what is not, practical in the light of past experience. 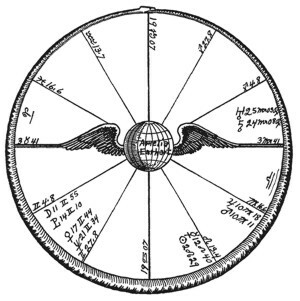 Discordant Utopian thought cells, mapped in the birth chart by inharmonious aspects to the planet Neptune, in particular tend to a negative, dreamy state of consciousness to which should be applied both the hard, concrete, practical facts of the Safety thought elements; and, to give more vigor, the vital, courageous, thoughts of application to detail as an aid to realizing a practical significance instead of attaining that significance only in the wish fulfillment of imagination. Even the harmonious Utopian thought compounds will be benefitted by applying to them both the Safety thought elements and the Power thought elements in painstaking concrete endeavor; as always the Utopian thought cells tend to gain satisfaction too largely through imagination. The thoughts of the Universal Welfare family are an upper-octave expression of the Domestic thought elements. They are those of the family expanded to embrace a still larger group, which in its highest expression includes all living things, wherever found. The expression of the Universal Welfare thought cells releases the highest frequency short wavelengths which lightning, when it tore asunder the pairs of nitrogen atoms of the atmosphere, stored in the nitrogen which became the nucleus of the nerve cells. These shortest of wavelengths developed in the brain and nervous system, while they do not affect the personal magnetism in the readily recognized way that those of the Individualistic thought cells do, give the nerves both greater range in broadcasting and the most efficient type of receiving set to pick up broadcasts from other minds, whether those minds are incarnate or discarnate. The nervous system is specially adapted to broadcasting and clear reception of thoughts; and is not so sensitive to impressions as when the slightly longer wavelengths of the Utopian thought cells are the dominant influence. Because the natural antidote, the Aggressive thought elements, are so positive, even though the Universal Welfare thought compounds are quite negative, they do not require the application of the Power thought elements. 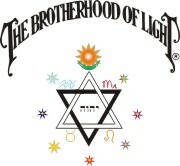 To add the Aggressive thought elements to the compartment of the astral body containing the Universal Welfare thought cells, some actively requiring positive work and initiative should be undertaken in association with the things of this department of the life, which will benefit a large and deserving group. The Aggressive thought elements are very easily applied to such discordant thought cells, mapped in the birth chart by inharmonious aspects to the planet Pluto, merely by going into some active campaign for the benefit of society as a whole, or some worthy part of it. To add the Aggressive thought elements more specifically to the Universal Welfare Dynamic Structure, whenever thoughts enter the consciousness relating to psychic difficulties, or to difficulties with some group, they should be immediately displaced by thinking about some episode in the life in which initiative and courage were exercised. Or the thoughts may be turned to some contemplated activity requiring initiative and courage. The difficulty, whatever it may be, should be completely banished from the consciousness by Aggressive thoughts that have for their object worthy attainment or construction of some kind. The circumstance that these thoughts are deliberately cultivated to supplant the discordant Universal Welfare thoughts is sufficient association to cause them to enter into the compound where these are located. 1876, determined to become nun: Sun sesquisquare Jupiter p. 1877, mother died: Mars square Saturn r, Uranus inconjunct Moon r.
1877, Christmas, saw her name in the sky: Venus opposition Jupiter p.
1887, carried fight to become Carmelite at fifteen over various superiors who opposed, to the Pope; gained permission and had hard convent life: Sun square Mars p, Venus sextile Sun r.
1894, wrote The History of a Soul, which circulated widely, and to which miracles were attributed, leading to canonization as a saint: Mercury sesquisquare Jupiter r, Sun opposition Uranus r, semisextile Moon r.
1915, graduated from high school: Mercury conjunction Jupiter r.
1926-28, charge of girls welfare work: Jupiter square Venus r.
1927-28, teacher of extension course: Jupiter square Venus r.
1928, June 17-18, first woman to fly Atlantic: Mercury conjunction Mars p, Venus semisextile Neptune r, Jupiter square Venus r.
1931, married: Venus trine Uranus, Venus trine Saturn. 1932, solo flight across Atlantic: Mars sextile Sun r, Jupiter square Venus r.
1937, March 17, took off on westward round-world flight: cracked up in Honolulu, no one injured but plane wrecked: Sun conjunction Mars r and Jupiter r, Venus conjunction Sun r, Moon conjunction Uranus and Saturn.